Congratulations to our Grant County Chamber of Commerce Elementary Teacher of the Year Angie Walters! Although Ms. Walters has 22 years in our district, this school year was her first at the East End Intermediate campus. 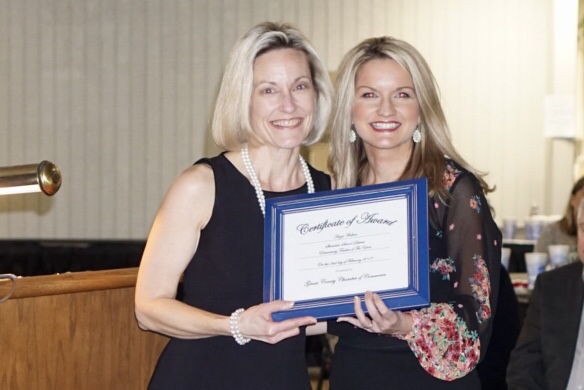 The fact that her new peers unanimously voted for her to be their campus teacher of the year, is an overwhelming testament to the impact she has made on the students, parents, and staff at EEI. Ms. Walters’ passion to serve, her amazing talent to get the most from her students, and the way in which she ensures each child feels loved and cared for in her classroom, makes Ms. Walters an excellent choice for the Elementary Teacher of the Year.